Sooner or later, most people retire. More and more small-business owners are inching closer to retirement age. According to recent statistics from the U.S. Small Business Administration, more than 50 percent of business owners are older than 50. In Iowa, this means at least 26,500 small business owners — those with 20 or fewer employees — have come to the point where they need to decide what’s next for their business. businesses when the owner was ready to retire. attorney with Brick Gentry P.C., who handles succession planning for business owners. 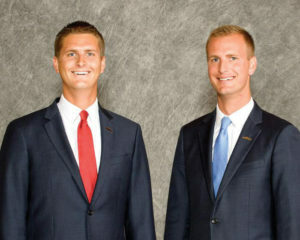 Brothers John, left, and Mark Parrish purchased three funeral homes, including one in Urbandale from business owners with whom they had maintained long-term relationships. Gather input from numerous parties that include the business owner, their family members/heirs, accountants, attorneys and other estate planners. Shimkat says. More and more individuals in the “next generation” aren’t following in the previous generation’s footsteps; they’re taking jobs in other industries. Enlist the help of experts. No plan should be created without advice. There are firms that specialize in family business and business succession planning. These individuals can guide the business owner through the entire process and mediate any issues that may occur within the family or from involved parties. More than 70 percent of family-owned businesses do not survive the transition from their founder to the next generation, mostly because of family discord or taxes — more on the second, later — according to The Balance, a website that provides financial advice to business owners. A succession plan will manage any potential transitional issues that could occur among family members. It will also take an honest look at family members and whether they even have the skillset to run a business. information for products and services, phasing out and removing obsolete inventory, updating all employee records and client accounts, and leaving complete records of vendors. The first step in creating the plan is to set a future goal for the business: Does the owner want to have more money for retirement? Does he or she want to leave the business to their children? the strengths of all possible successors in order to determine what will be best for his or her business. The management of the business may be different from the ownership, and the plan will spell out the details. Some business advisers recommend an exit strategy be built into the business plan, according to The Balance. At least five to 10 years in advance can give enough time to put all parts in place and to ease the transition. A plan should definitely be in place by the time the business owner is in her or his late 40s or early 50s, Herbold-Swalwell says. Any transition of the business should allow for time to train the new owners and ensure it is as smooth as possible for all employees. If the company has investors or other stakeholders, they will need to be notified of the change in ownership before it occurs. Clients will also need to be informed of the change, and the business owner will have to devise a strategy to make that happen. because neither one of them has children, and they want to expand their business. They do have a plan in place should something happen to either one of them. period of time in which to have first right to purchase his brother’s share. “We have a formula in place with how we value the business, so we don’t have him saying it’s worth one thing, and me it’s worth another,” Mark says. • Sell the business outright. This can leave a business owner with cash for living expenses or paying taxes that could be associated with the sale, such as transfer or capital gains taxes. • Transfer the business with a buy-sell agreement, which prearranges the sale of the business with the owner and a willing buyer. This allows the business owner to keep control of his or her interest until an event the contract stipulates such as death, disability or retirement. The price and sale terms are prearranged. • Create a private annuity with an interested buyer in which he or she receives ownership and agrees to pay the business owner periodic payments for a set period of time. 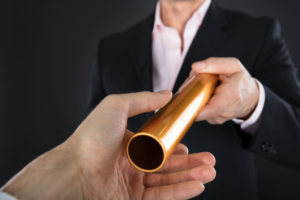 Experts say other options exist, including self-canceling installment notes or the creation of family-limited partnerships, which is why a business owner needs to make a plan that includes all of those who are involved and make sure the plan is recorded. The Parrish brothers bought the funeral homes — John was 23 and Mark was 27 — through financing and with the previous owners carrying some of the debt. They didn’t have enough cash to make the acquisitions, but the former owners worked with them to make the sale happen. “We always had a vision of he and I owning a business together and a funeral home together,” Mark says of his brother. Part of the Parrishes’ plan includes finding a managing partner from one of their satellite locations who will own minority shares in the company and be part of their long-term succession plan for future ownership, Mark says. “In a lot of business successions, seller financing is something that the seller really needs to look at strongly,” Shimkat says. 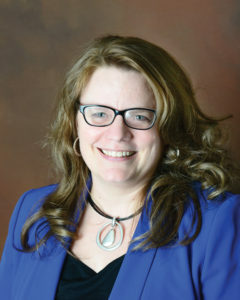 “We’re trying to encourage them to approach business owners and encourage business owners to do the same — to reach out to college programs,” Shimkat says. 4. Are there any implications to consider? A financial adviser, certified public accountant and an estate planning attorney can help a business owner work through any potentially adverse details that may occur with the sale or transfer of business ownership. If the business is going to family members or children, the owner will want to transfer it at its fullest value while limiting any potential income, gift or estate taxes, according to Wilon’s outline. it free from tax, according to Wilon. The disadvantage is that it takes more time to transfer the business to the next owner.